Close on the heels of my post “The Trouble With Mom Bloggers”, Kelly invited me to be on Profitable Mommy Blogging to talk more about this topic. I dished about Blissdom, meeting bloggers I admire, and how moms can value themselves and their writing more. My point in bringing this up is that even if you don’t “need” to make money with your mom blog, doing so can help you spread your message farther and wider. Doesn’t everyone want their thing to be bigger? Here is a free report I put together with my favorite 100 tips on blogging. You can either click on the image or click here to download it (right click to download and save to your computer, or just click to open). Does your mom blog need boosting? 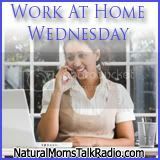 This entry was posted in Blogging and tagged kelly mccausey, mom bloggers, profitable mommy blogging, work at home mom. Bookmark the permalink.